Thank you all so much for the kind messages, tweets, facebook notes and texts. I will spending the next few days with my family celebrating the life of my Yia-yia. A few pre-scheduled posts were waiting in the wing, so you will get those and I'll be back at some point next week! Thank you for all of your support. I am beyond excited to link up a Friday's Fancies outfit that is mine in real life! Aside from that purple tee, and those killer shoes, I have this outfit. Well, I will have this outfit. The shorts are expected to arrive today and I hope to be able to rock them this weekend. Check my instagram (@thescribblepad) to see if I do! I tend to be a bit matchy, matchy, so I would appreciate any suggestions for what else I could wear with these shorts? Colors, patterns, shapes...all suggestions welcome. 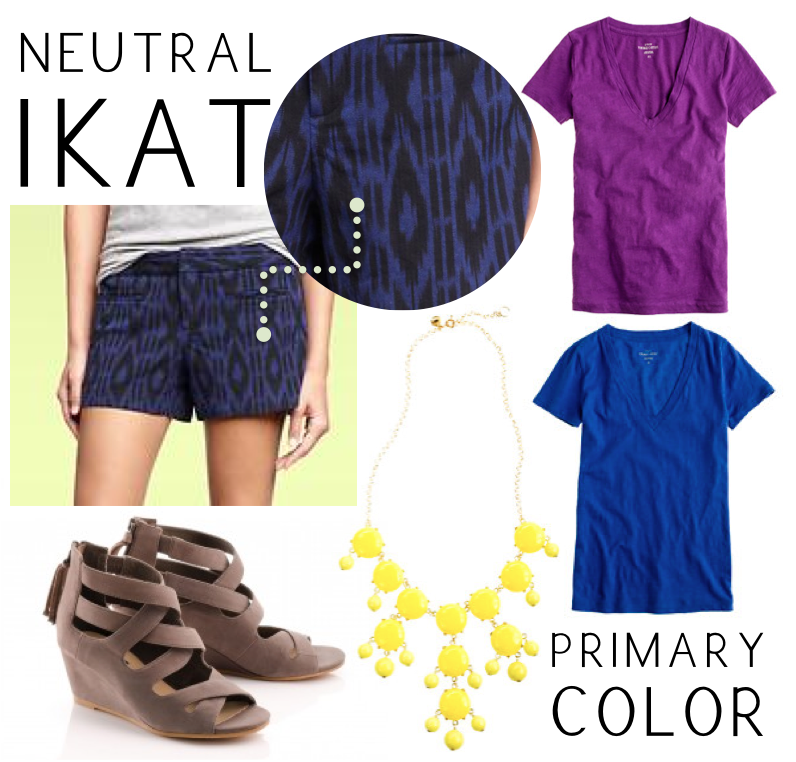 I heart Ikat.I've been eyeing some neutral Ikat drapes for my living room for awhile now.